of the bitJanmashtami or Gokulashtami is a Hindu festival celebrating the birth of Lord Krishna. He is an incarnation of Lord Vishnu, who specially took birth as the child of Devaki and Vasudev to wipe out various evils from earth. 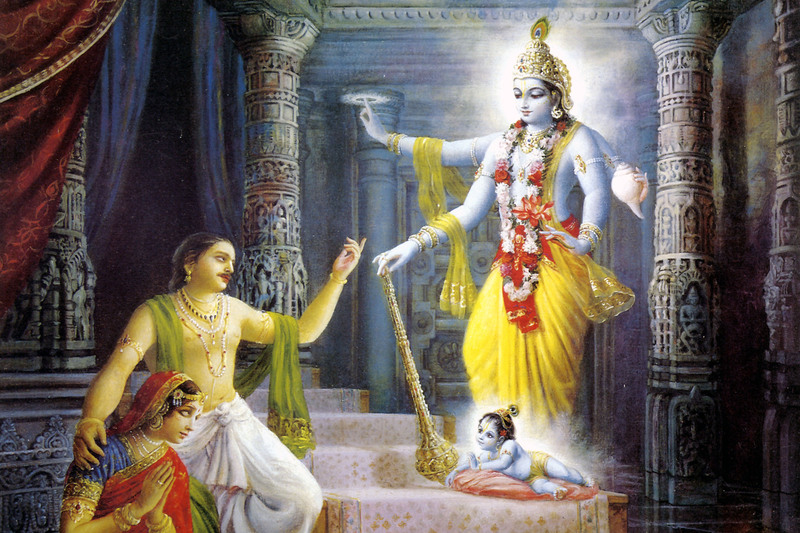 As a child, Krishna eliminated his own evil uncle Kansa. His entire life has been full of messages for the entire human population, not just Hindus. His biggest and most important contribution was seen in the great war of Kurukshetra where he helped the Pandavas defeat their evil cousins Kauravas. As his mission on earth was accomplished with the victory of the Pandavas, Krishna descended to heavenly abode after the completion of the war. But he assured his devotees that he would arrive on earth whenever an evil force will pose danger to win over the good. Happy JANMASHTAMI to all! May the various evils of the world be wiped out.